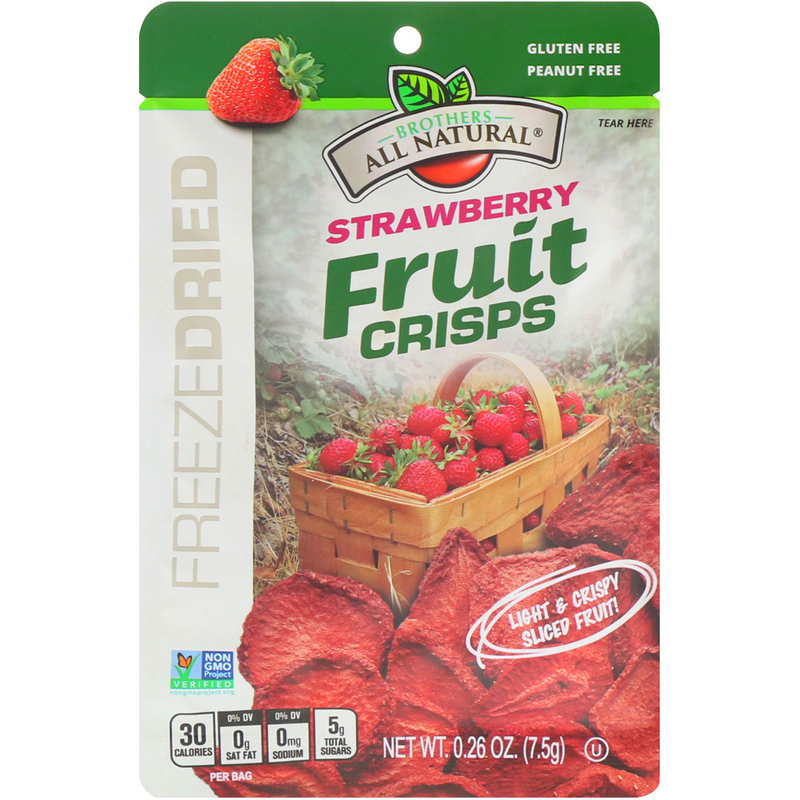 Light & Crispy Sliced Fruit! 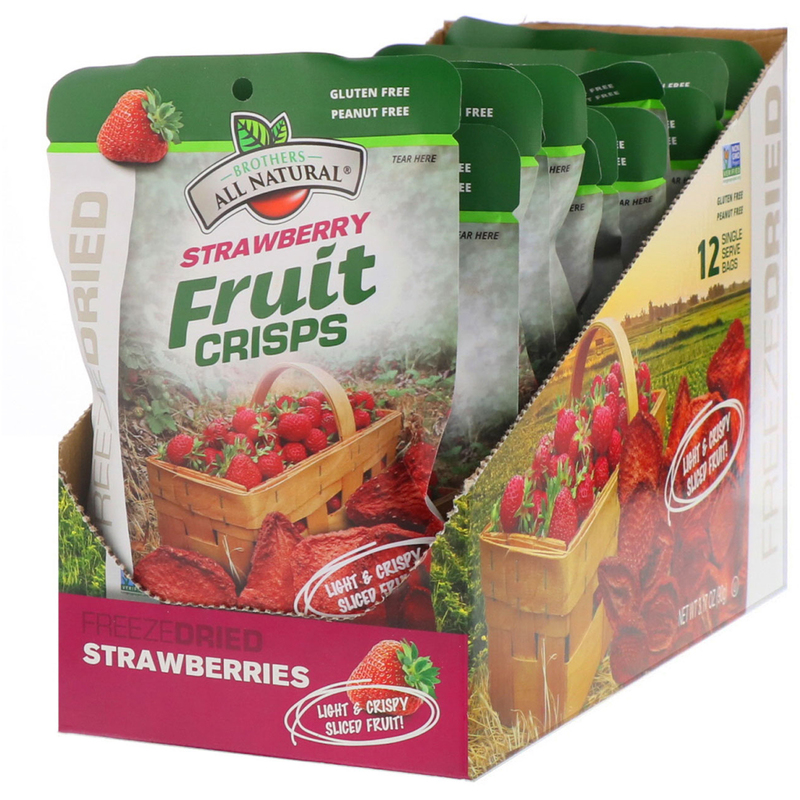 Our Fruit Crisps are an easy, convenient and fun way to eat your fruit. The perfect anytime snack! We start with delicious fruit, straight from the best growing regions of the world. 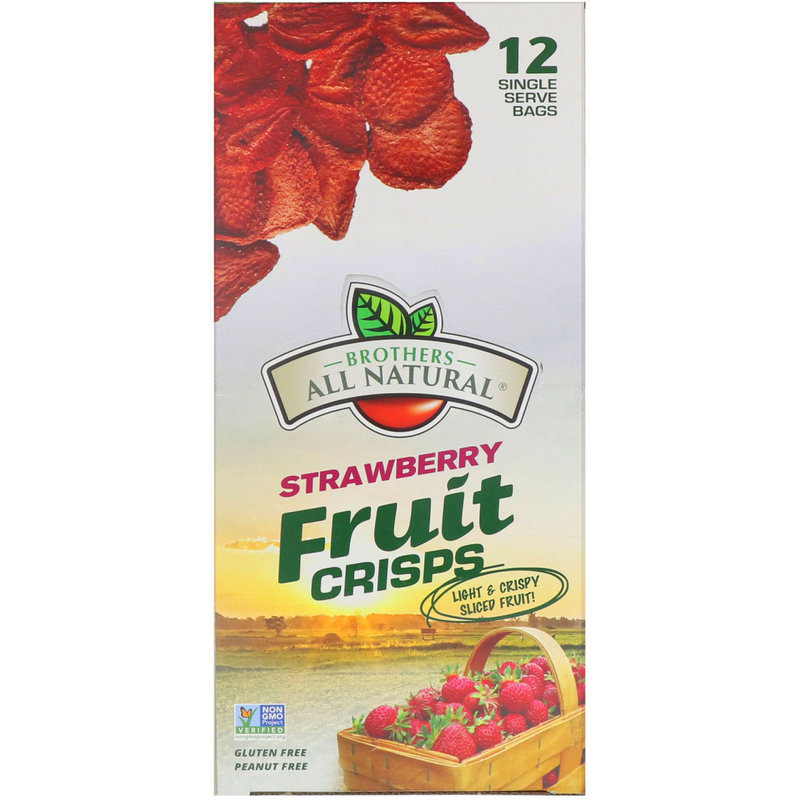 It is then sent directly through our state-of-the-art Freeze Dried process that gently removes the water from the fresh fruit, transforming it into a delightfully light, and flavorful fruit crisp. Nothing artificial, just fruit. 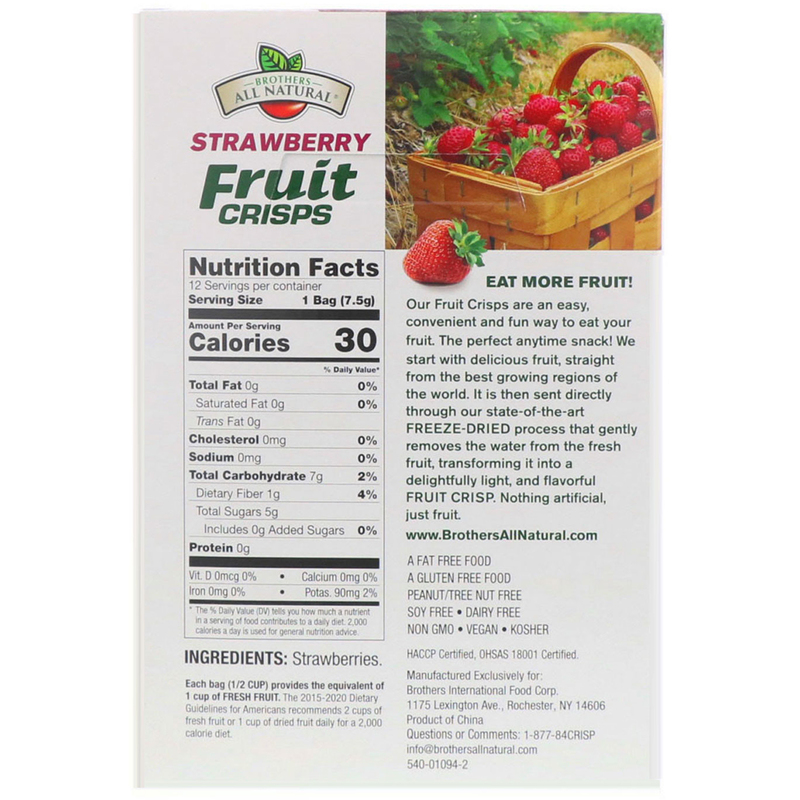 Each bag (1/2 cup) provides the equivalent of 1 cup of fresh fruit. The 2015-2020 Dietary Guidelines for Americans recommends 2 cups of fresh fruit or 1 cup of dried fruit daily for a 2,000 calorie diet.